Our team will help get your building clean. 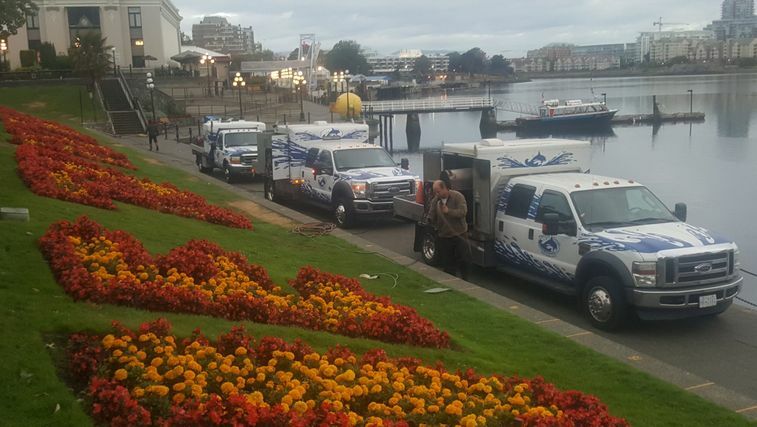 Pacific Coast Power Washing Ltd. provides commercial, industrial, municipal and residential power washing services all across Vancouver Island, using biodegradable soaps and hot and cold water options. As Lift Certified Operators, we are insured up to $5 million through WorkSafeBC. We are also very involved in the community and actively participate in fundraisers and community events. Our contracting services are available to both businesses and municipalities. We offer free estimates to all of our clients. Call us to learn more. that will get the job done.